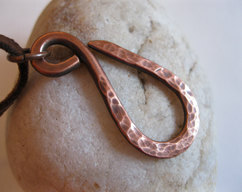 This statement necklace with a very unique design is handmade with copper tubing which was hammered, textured and hole punched and then shaped into a triangle. 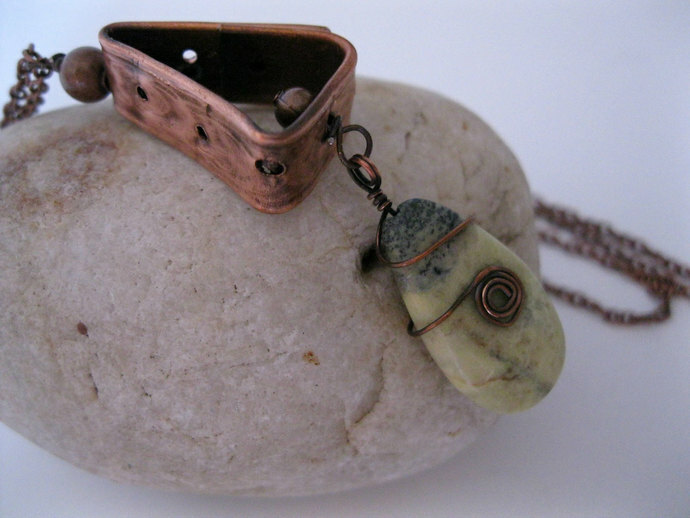 I wire wrapped this beautiful yellow lime green turquoise in teardrop shape with thin copper wire and dangled it to the bottom of the copper triangle with a small copper bead. 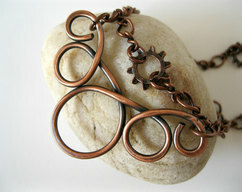 The pendant is suspended from a simple copper chain and copper toggle clasp. 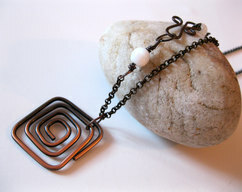 The entire pendant was oxidized and then hand polished. All my jewelry material is cleansed with sea salt and water before I start working with it and then prayer infused the entire time I am working on it. Once the piece is made I let it sit on sea salt crystal lamp for 24 to 48 hours to separate my energy from it and enhance its healing properties for your maximum benefit. 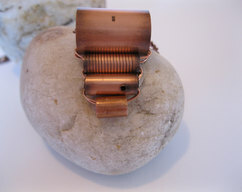 All jewelry designs are my own and handmade at home by me. I only make one-of-a-kind pieces so, once this is gone you will not see another like this one again! Please let me know if you would like me to ship this directly to someone else as a gift and I will make sure to gift wrap it and not include the receipt. I can also include a simple handmade card with your message.